Ward is famous today for the three knock-down, drag-out title fights he fought against Arturo Gatti. But you won’t see those here. 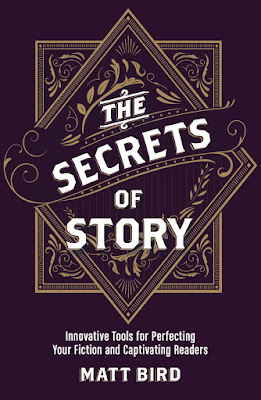 The writers took a good look at his life, decided that the best story was Ward’s struggle with his own family, and then ruthlessly pared that story down to its essence. We begin when Ward finally becomes aware of that problem and we end when that problem is ultimately resolved. The Gatti fights came about because Ward had solved his problems outside the ring, so they have no place here. So instead of showing the Gatti fights, they ended with the fight in which Ward wins the championship belt from Shea Neary, but even then, the emotional dilemmas (with his brother, his mother and his girl) are still resolved a few scenes before that fight, and the championship fight we see is merely the payoff to that resolution...and that’s fine. 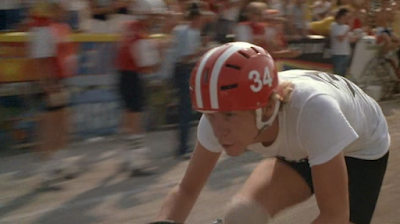 Another movie with a similar structure is Breaking Away: There too, Dave resolves all of his issues with his dad, his girlfriend, and his friends, and then begins the triumphant final bicycle race. As with The Fighter, the result is an exhilarating stand-up-and-cheer triumph, and we don’t really care that things are rolling downhill. The implication is clear: sports movies get a little more slack. The alternative, after all, is to have the person the hero is having a problem with sitting in the stands, allowing them to silently communicate their emotional breakthrough just before our hero wins the match. It can be done, but it’s far from ideal, so it’s okay to wrap the emotional beats up a little early, and end with nothing but triumph. In some sports movies, the actual victory is just a victory lap.